There's always room for pie. Unfortunately when it comes to the use of "N" word, some black folks want to have their cake and eat it to. I don't get it. Snooki: I'm praying I have a gay little boy one day". I guess the whole gay thing is the new sheik to progressives, unfortunately they want to try and make everybody else buy into their warped sense of what is trendy and cool. Everything in our society is being centered around gays and lesbians for some very odd reason. I would be lying if I said I can comprehend insanity. Liberalism is a mental disorder. That has been proven beyond a shadow a doubt. Backwards thinking is a very poor substitute for common sense. I have no problem with homosexuals, but I do know that homosexuality is an "alternative lifestyle" not a "traditional" lifestyle. I laugh everything a clueless gay marriage (oxymoron term) supporter calls me a "homophobe", because I will not bend on my support of the traditional union of marriage. I usually end up smashing their talking point attack by telling them that in order for me to be a homophobe, I would have to be in "fear of homosexuals". Since I am not in fear of them, there is no "phobia aka the fear of" to speak of. That normally gets them off their high horse rather quickly. Anyways, I'm not trying nor going to every by trendy by selling out my beliefs to placate to a bunch of intellectual gerbils. Speaking of an intellectual gerbil, the reality television star "Snooki" fits the bill in that department. Thank goodness I've never watched an episode of Jersey Shore and never will. If you want to know why so many young people are so much messed up in the head, the Jersey Shore is a text book example why. Snooki aka Nicole Polizzi, is pregnant, and she said " I’m praying I have a gay little boy one day”. Looks like the fashion fad of white liberals adopting African kids may be coming to an end. I know television and film celebrities are phonies and hypocrites at heart, and I also know that they are dumb people. I wonder did it ever occur to this twit that if the man and woman who conceived her were gay, she wouldn't have been conceived at all. . My brain feels like it wants to explode every time a progressive says something so utterly stupid.. Stupid is what stupid does and says. George Wallace was the 45th Governor of Alabama and was known for his staunch segregationist views during the Jim Crow era. Why am I writing about George Wallace?Well for starters, yesterday marked the 50th anniversary of then Governor George Wallace standing in the hallway of Foster Auditorium at the University of Alabama in an attempt to prevent two black students (Vivian Jones & James Hood).from attending class as students. George Wallace was then and still to this day is a poster child representing Democratic segregation.. Notice that I said that George Wallace was a Democrat. This is nothing new to people who are educated and not indoctrinated. Some people like Chris Hayes over at MSNBC was one of the poor souls to have gotten an indoctrinate instead of an education, when he attended high school. Yesterday as Chris was speaking on the historic milestone, the Lean Progressive channel MSNBC stated that George Wallace of Alabama was a "Republican". How could MSNBC actually display that George Wallace was a Republican? The answer is obvious.Lying, distortion and splice editing is what the progressives of MSNBC do best, when it comes to trying to tar and feather Republicans as being racists. . I have very little respect for journalism in America, sadly this is just another illustration to why that is. I know the Democratic Party tries to white wash their party's history by claiming the racist Democrats all became Republican and that the great pumpkin delivers toys on Halloween, but this is over the top. The low information voters as Rush Limbaugh describes them will no doubt believe what MSNBC showed. The educated high information voters brought the "mistake" to Chris's attention, so Chris has recently issued an "apology" via his twitter account claiming that "This was a stupid, inexcusable, historically illiterate mistake.I should have caught it and apologize for failing to,” I give Chris credit for admitting that he was "historically illiterate", and he did man up. I just wonder if he would have done so if it wasn't brought to his attention? Do you really believe that the NAACP is still a black civil rights organization? For almost 30 years, the NAACP has been nothing more then a pathetic, subservient whore of the Democratic Party. It stopped being a black civil rights organization a long time ago. It has become a organization for every cause that isn't related to "the advancement of colored people". A few years ago, the NAACP put a report on of all issues "climate change". When did the National Association for the Advancement of Colored People become the National Association for the Advancement of Climate Protection? I'm still trying to figure out how climate change is racially bias against black people. Maybe the NAACP has taken this up, because they believe Mother Nature is a racist? I would love for someone to tell me, maybe I am not connecting the dots. Here's more proof of how the NAACP has ceased being a legitimate civil rights organization. In North Carolina, over 150 people were arrested at the North Carolina State House for protesting against the Republican led State Assembly. Now of course Democrats have done their best to make black people connect the imaginary dots between the word "REPUBLICAN" and the word "RACIST". So with that said, the NAACP must have a valid reason to have 1,000 people show up and protest right? The North Carolina GOP must be planning some diabolic racist legislation against black folks right? Ah no, that isn't the case. 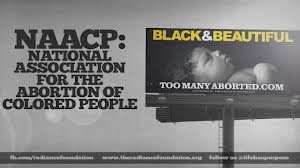 The National Association for the Advancement of Colored people have been protesting in which 100 were arrested not for protesting over any racial issue, they were protesting against the GOP led General Assembly on issues such as "ABORTION RIGHTS" and "CLIMATE CHANGE". The protests that have taken place have been a combination of hard boiled progressive groups, unions hacks and such. I guess the question was never posed to the social misfits why exactly did North Carolina go Republican in the first place. If the progressive agenda led by the then Democratic majority and the former Governor Bev Predue was actually moving the state in the right direction, the GOP wouldn't have never taken control and gained a mandate to begin with. This reminds me of the unions and other progressive groups crying when Governor Scott Walker and the Republican majority took power in Wisconsin. I doubt the IRS with it's blind eye will look in to revoking the tax exempt status of the NAACP. They have demonstrated time and time again that they are not a non partisan organization which only purpose is to be a black civil rights group.